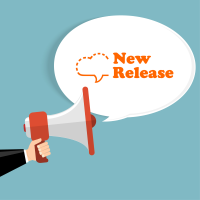 Not long ago we published the first of our Language Packs: the Nordic pack, which includes several text analytics tasks in Swedish, Danish, Norwegian and Finnish. Among the text analytics tasks supported, there’s one that was missed by many of you: Sentiment Analysis API. Well, no more! We are happy to announce that from now on you can also analyze sentiment in the four languages included in the Nordic pack. And what’s more, for those of you that are already subscribed to the pack, it has been automatically included and so you can start using it right away without any change in pricing. 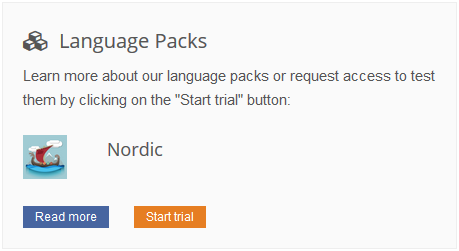 For those of you that are not subscribed to the Nordic pack, remember that you can test all our packs full functionality by requesting a 30 day period trial. It’s super easy! You just have to log into your MeaningCloud account and click on the ‘Start trial’ button associated to the pack you want to test. You will get access right away to all the resources included in it. You can see what the ‘Start trial’ button looks like for the Nordic pack on the image below. You can read more about trials and subscriptions to our packs in this post. Once you have access to the pack, you can use the Sentiment Analysis console or any of the integrations to test its functionality. For any questions, we are available at support@meaningcloud.com. MeaningCloud's Product Manager and NLP Consultant.